Minuteman Security Company offers the best home and commercial alarm systems and has been serving and protecting people in Southern California for nearly 25 years. Our security system & alarm system monitoring services are used in many community locations, including: residential homes, banks, barbershops, restaurants, factories, convenience stores, department stores, and more! We specialize in alarm systems for small businesses. Our highly trained, professional security company dispatchers at our 24-hour central monitoring station guard every one of these homes and businesses. 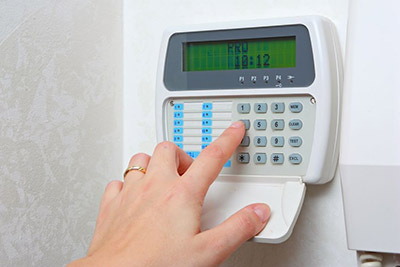 Our security company monitors your home alarms, fire alarms, burglar alarms, & business alarms. We provide you with the peace of mind and sense of security you deserve. Our security system monitoring staff are always ready to detect and to quickly respond to a wide variety of monitored business alarm systems, which affect industrial and commercial interests, such as: burglaries, hold-ups, fires, water flow problems, and all comings & goings of the premises. Also, as an added benefit of having a security or fire alarm system in your home or business, you may be eligible for insurance premium discounts! Don’t leave your safety and security to change! You can trust in Minuteman’s expertise and solid security history to monitor your home or business. We will always provide 24-hour monitored and quick responses to keep your business on-line and running smoothly. Contact Minuteman Security today at (800) 515-9188 to discuss your residential or commercial security needs and how our monitored security solutions can help you. Mary-Ann is an energetic, focused, results driven Sales and Business Development Professional with a track record of success and stability.